Since starting down the path of Bhakti Yoga I’ve been blessed with many magical moments, and Jai Uttal’s kirtan Saturday night at the Denver Chant Fest was one of them. Jai’s kirtans are always different, always an alchemy with him, his musicians and the audience. There’s just no one like Jai. 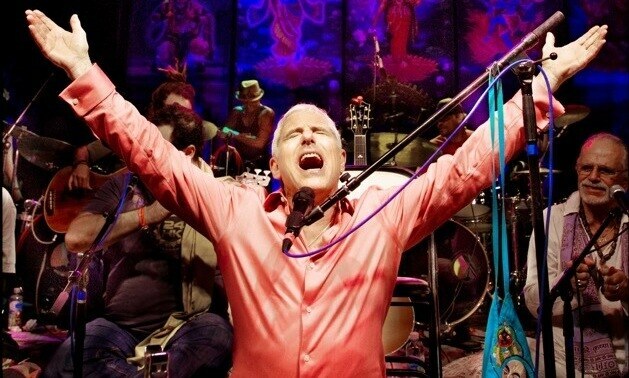 That night in Denver he and his band played two and a half hours of delicious kirtan — put on some headphones and come take the ride. And when you get to the long, deep silence after ‘Sri Ram Jai Ram’ that goes on and on know this — all of us in the room were so together in Love at that moment we couldn’t bear to break the spell by making a sound. It was transcendental. P.S. Here’s a free download of “Hari Guna Gao” from Jai’s new CD Return To Shiva Station, coming March 25 worldwide on CD and digital. Preview and pre-order the album here.